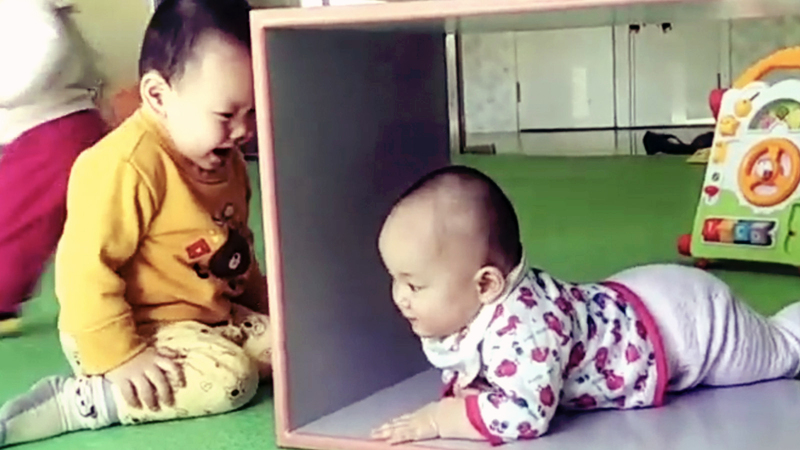 What you see in the video below may look simple — just two happy children playing a game. While their story is a little more complicated — and a little sadder — there’s enough evidence here to suggest hope for both child’s future. 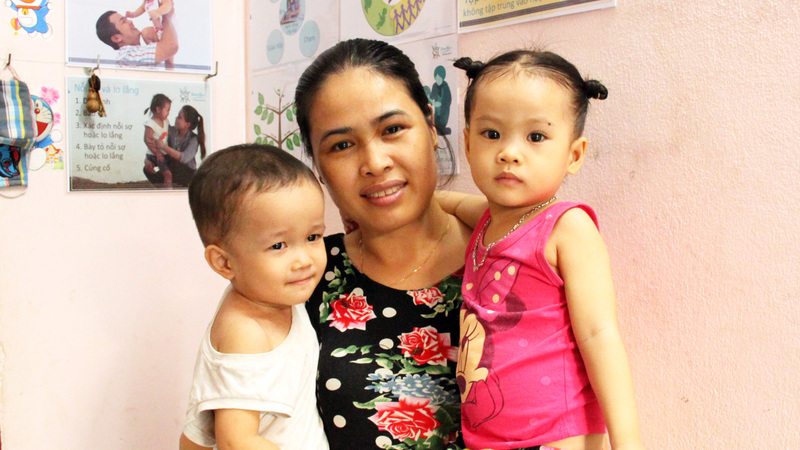 Toddler An’an, on the left, was abandoned by his biological parents at birth. Since then he’s known only institutional care — care that in the past might have offered him no nurture, no help in growing into a happy little boy. But thankfully An’an has a caregiver who was trained by OneSky. That means he has enjoyed all the love, hugs, and support any child could hope for — and lots and lots of peek-a-boo games along the way! 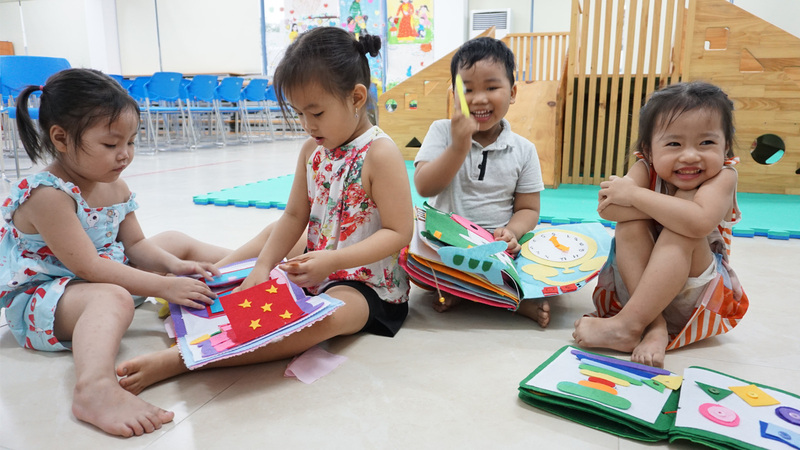 An’an loves peek-a-boo — it keeps him smiling and also helps him develop and relate to other people. So imagine his caregiver’s delight when she saw An’an playing the game on his own! 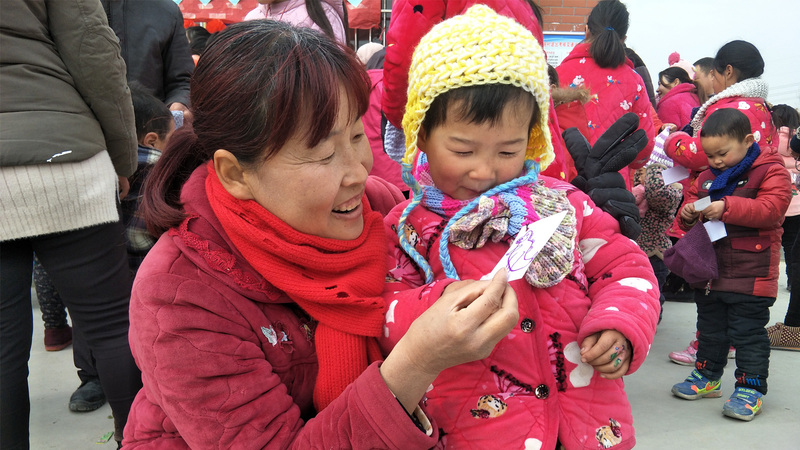 Here he is, entertaining Jiajia, another child with a similarly bad luck beginning. An’an has clearly learned all the peek-a-boo tricks. Tapping the mat to attract attention, ducking one way, then the other. He’s making Jiajia move to earn that peek-a-boo moment and a gorgeous smile. While An’an has learned to play a great game of peek-a-boo, he’s also learned how to have fun, and how it feels to be loved. And like his caregiver, An’an knows how to share that love and how to make someone else smile. 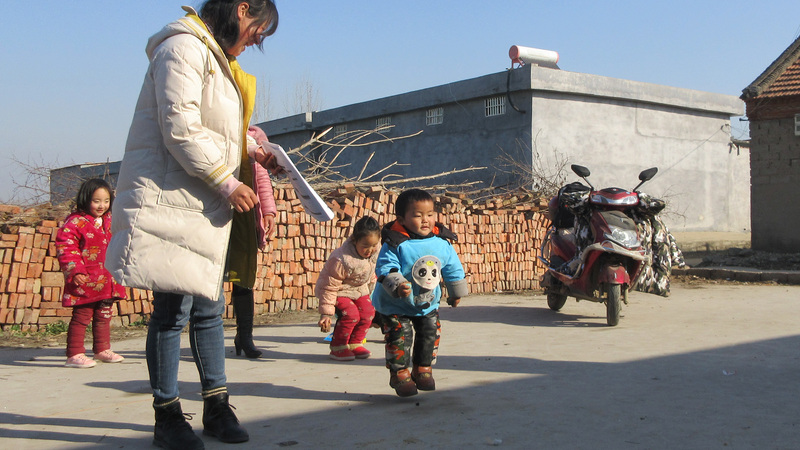 Still smiling: the amazing grandmothers bringing up children in rural China... Can you jump up high for grandma?